Beena Kannan Seematti CEO profile and biography is given here. Know about Beena Kannan's family, parents and their contribution in making her to chase dreams. Beena, a popular business woman in Kerala is the Managing Director and Lead Designer of Seematti textiles. Read more about Beena Kannan who battled the ups and downs of her life with determination and made her dreams come true with her boldness and conviction. Kerala has contributed a number of self determined women who have made their name in the international arena with active presence and conviction. Among the Keralite women have created their own space through business venture, Beena Kanan stands top in the list. 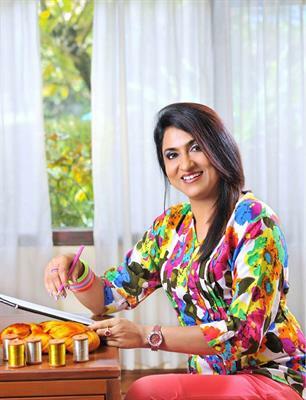 Being a successful business woman entrepreneur, Beena has given her unique contribution to the development of a new culture in the state. Keep scrolling to know more on Beena Kannan, the CEO and Lead Designer of Seematti textiles. Read about Beena Kannan who battled the ups and downs of her life with determination and made her dreams come true with her boldness and conviction. 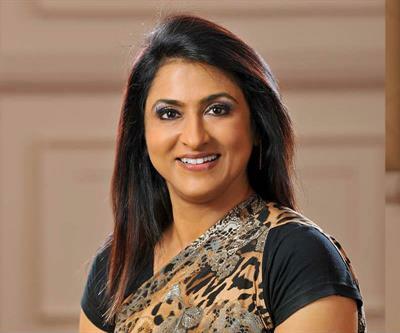 Beena Kanan born on 17th July 1960 in Kottayam as the daughter of V. Thiruvenkitam and Mrs. Seetha Lakshmi Thiruvenkitam. She was born as the only daughter of her parents whose ancestors migrated to Kerala from Tamil Nadu. Originally from Andhra Pradesh, Seematti was founded by Late S.Veeriah Reddiar at Alappuzha in 1910. Her grandfather Veeriah Reddiar was a famous textile king who pioneered the fabric industry in the state. After receiving high school and University education, Beena joined the league of their family textile retailing business with her father in 1980. Addicted by the brand Seemati, Beena grow along with its development. She got married to her cousin and childhood friend Kannan in 1985. After delivering a happy life, Kannan left the world in 2000 leaving his wife and three children. It was a tough time for the young woman to rise from the challenging situations totally wrecked in darkness. Her mental power and self determination was much enough to rise from the difficult days and become a successful entrepreneur. Taking the charge of the textile industry, Beena took some serious steps to be more professional devoting her entire time for its growth. The transformation of Seematti from a small saree store to one of the most popular fashion retailers in the state should be seen as the real hardwork and the extraordinary willpower put forward by Beena Kannan, the strong pillar behind its expansion. Beena has already become a powerful business icon and a real motivator for young women who are interested to make their own space in the arena. She travels to all parts of south India including the inner villages in Kachipuram to pay attention to the weavers who have exquisitely woven Kancheevaram sarees. Being a confessed workhoilc, the success of Beena Kannan is reinventing herself and her business. She faced the biggest challenge convincing the weavers to make innovations in designs. To make them aware about the need, Beena had to travel to some places which were even difficult to reach. She stayed with them and made them understand her ideas. As she succeeded in delivering her thoughts the entire village started working for her. The thick business bond with the villagers and Beena, every six months new ranges of saris would reach the outlets of Seematti. As people of Kerala are much choosy comparing to other southern states, wide ranges of stuff have to be presented before them. Owning Seematti Silks, one of the most sought after textile chains in India, Beena is confident of reaching her business in new gulfs. Beena Kannan attracted attention as Seematti broke the record for the world's longest Silk Sari. The sari with embroidery and meticulous handiwork was over half a kilometer long. With a total weight o 72.583 kg, the silk used in the crafting was around 57kg. The cost of making the saree was estimated to Rs 2. 04 Crore. The record breaking saree reflected the rich cultural legacy of India. The themes were varied and encompassed history, epics, folklore, myths, famous personalities, places and monuments of India. It also was credited with the Guinness Book of Records and Limca Book of Records in 2007certificates. Being a popular wedding silk sari designer in south India, Beena has launched her sari designs in UAE and USA. The Coimbatore Erode Weaving community encouraged her with a 'Lifetime Achievement Award'. Beena designs bridal brocades with pearl-beaded gold and silver strands to beautify sarees. Specialised in Kancheepuram, Beena has explored the possibilities of other categories such as cotton, silk and lehangas. The Beena Kannan boutique gives prime importance to private collections and designs that can be worn for special moments. Beena devotes her entire success to the customers are God who truly transformed her life. She has given prime focus on the sales team while they have been motivated to help the customers at any time. As women of the present century are well adapted to the fashion trends, it gives birth to innovative clothes. Beena is well supported by her two sons Gautham and Vishnu and daughter Thushara. Her personal attention to brides and involvement in personalizing the bridal garments is a great bonus while shopping at Seematti. Being the face for undying professionalism and change in the bridal fashion industry, Beena Kannan is a good example of women empowerment. Anjana Menon Malayalam actress profile, biography and upcoming movies are given below. You will also find a list and a brief of her upcoming releases. Don't you want to know about your favorite actress? Then what are you waiting for, scroll down and enjoy your stay here. Vava Suresh snake expert, profile and biography are depicted here. He captured and rescued more than 30,000 straying snakes from different parts of Kerala. Keep reading the article to know more about him. Vinu Thomas malayalam music director profile, biography and upcoming movies are given here. Vinu Thomas is the brand new music sensation in the tinsel town. Initially, he breathed life to the songs in the Malayalam movie industry by scoring music in a film titled 'Of The People'. Later, he went on to compose songs for the movies such as Lissayammayude Veedu, Dr. Love, Note Out, Drishyam, etc. After his success in Malayalam movies, he went to Tollywood and created sensation there as well. Aina and Aima malayalam actresses profiles, biographies and upcoming movies are given here. The newcomers Aina and Aima have created the history in the Malayalam movie industry as the first twin sisters who made debut as heroines in a malayalam movie. The film in which they will be appearing is titled Dooram. The movie will be directed by Manu Kannandhanam. This movie is slated to get released in the year 2014. Ameer Niyaz malayalam actor profile, biography and upcoming movies ae given here. Ameer Niyaz is another new acting sensation that has taken the Malayalam movie industry by storm. Though he made a silent or an offbeat entry in the film industry, his last two films have been appreciated for their content and acting performances. His maiden movie was Puthumukhangal whereas the subsequent movies were Sevenes and Run Baby Run.